Posted on November 8, 2012 by Terry & Co. I went to a Vanity Fair screening of HITCHCOCK a few nights ago. 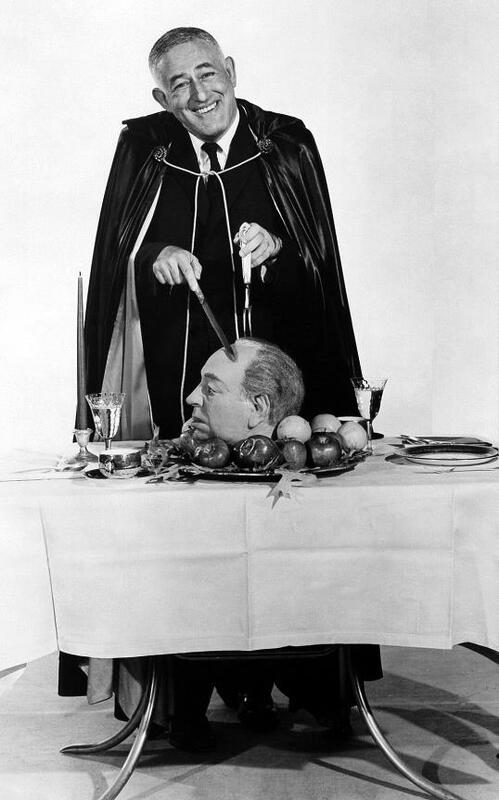 I sat in the darkened theater and watched Sir Anthony Hopkins transform himself into Hitch. I looked around the theater and wondered if I was perhaps the only person there who had actually met the man. I was young, and he was impressive. So was Hopkins in this film. And Helen Mirren as Alma was brilliantly played. She took my breath away. I loved the film, but probably for more personal reasons than the typical audience member. In some ways, I watched my young life play out. So much of the film resonated with me and my life– with my mother and father mortgaging the houses to make films, my Dad feeling inadequate in the eyes of the entertainment industry, his burning desire to find the next project, his pranks, his fears the night before production begins, his nightmares, and the most of all, his need to find a way to sell a film when the studios refuse to put their money behind it! And then there were the little things I loved about the film–the sardonic, mischievous quips, the house with the swimming pool, the driver, Chasen’s restaurant, Paramount Studios, the cigars, the coastline, the publicity stunt. Let me digress and talk about the publicity stunt for a moment. 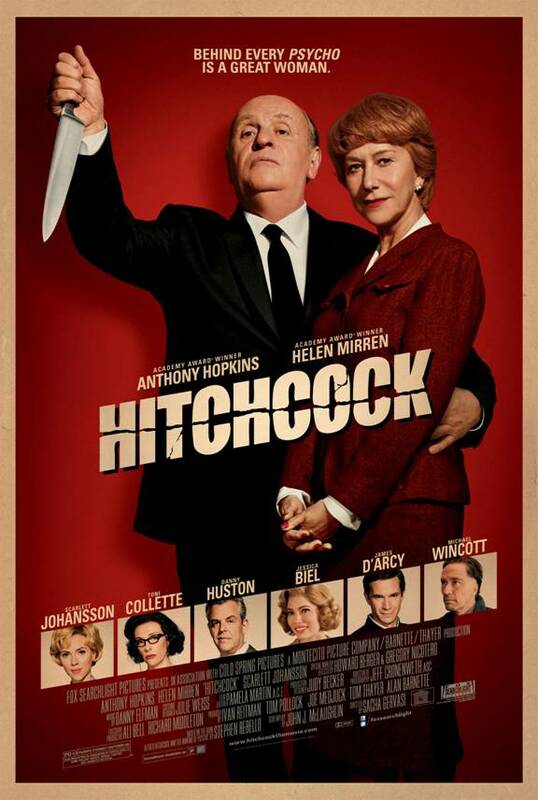 I know my Dad respected Hitchcock for his brilliant direction. I also think my Dad emulated Hitchcock to some degree. And I am sure you are aware that Dad is considered the poor man’s Alfred Hitchcock. 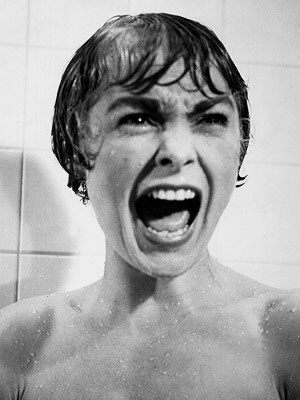 But Hitchcock stole a sheet from Dad’s playbook when he went out to sell PSYCHO and put together a marketing manual. Come on! I cringed in my seat. At least give a nod to Dad. 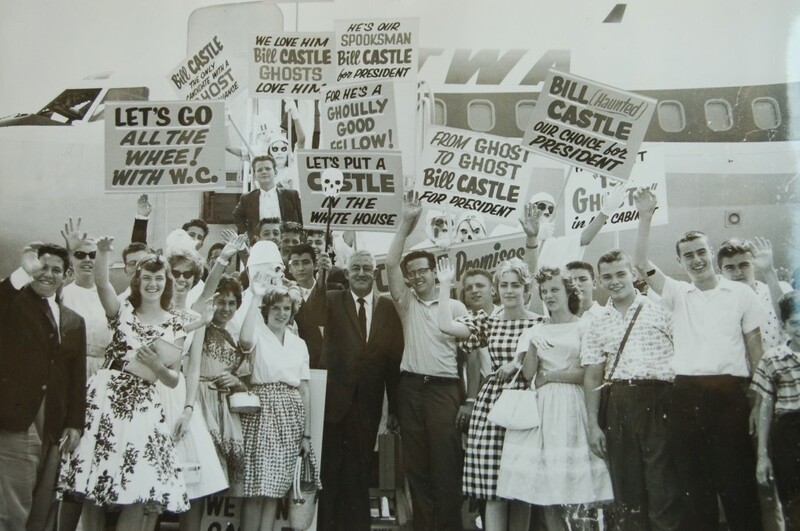 Hitchcock’s publicity stunt was all William Castle! 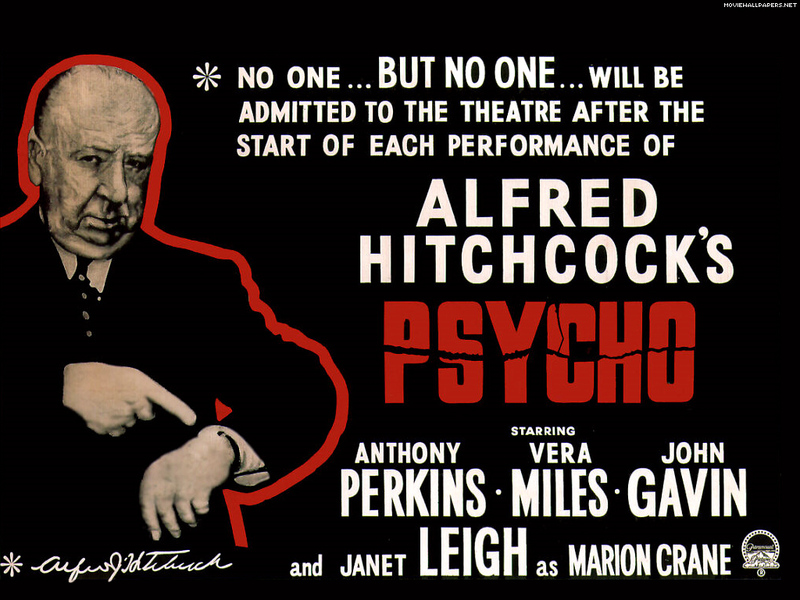 Hitchcock was a wonderful director, and I enjoyed the scenes where I got a glimpse into his directorial style. I just wish there had been more of these special moments. 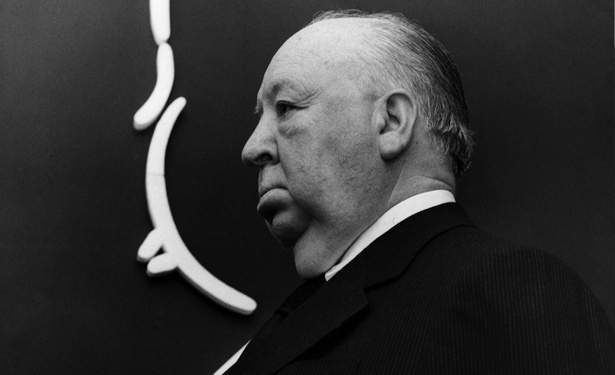 I thought the director, Sasha Gervasi, found a wonderful way into the story– the complicated, repressed, but remarkable relationship between Hitch and Alma. 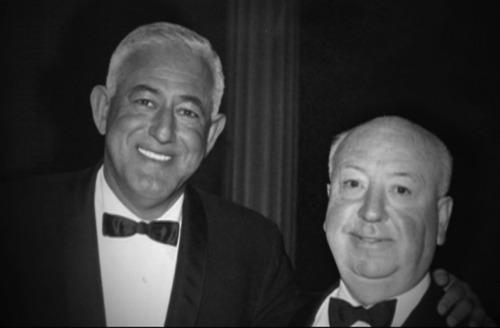 I walked away from HITCHCOCK thinking my dad’s life would make a much more interesting film….but then I am biased. Dad promoting one of his films. 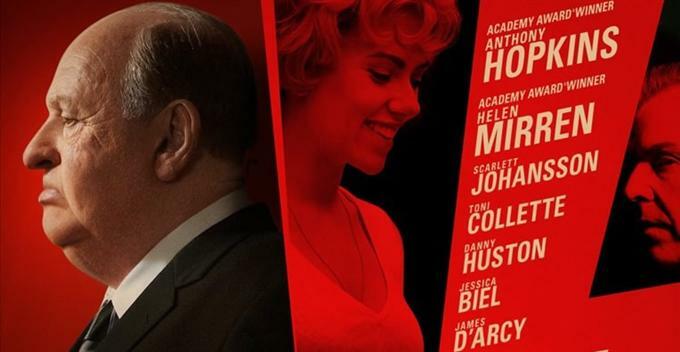 This entry was posted in Uncategorized and tagged Helen Mirren, Hitchcock, Pyscho, Sir Anthony Hopkins, William Castle by Terry & Co.. Bookmark the permalink. Thanks for posting such a thoughtful reflection. I’m a fan of your father’s work — which, I think, deserves more consideration than it receives.